Three Card Poker incorporates two modes of play. The Ante and Play wagers play in competition on the player hand against the dealer hand. The Pair Plus wager is paid on a pay scale basis that the player hand will be a pair or better. 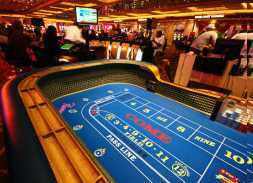 In most casinos both the Ante and the Pair Plus are optional, but there are some casinos in which the Ante is mandatory. After all Ante and Pair Plus wagers are placed, three cards are dealt to each player and the dealer. Players that have placed the Ante wager have a choice to either fold or continue in the game by placing a Play wager equal to the Ante. Hands are then exposed and wagers resolved. The dealer hand must be Queen high or better for the dealer hand to play. If the dealer does not play then there is no action on Play wagers and Ante wagers are paid 1 to 1.If the dealer does play the dealer and player hands are compared. If the player hand loses both the Ante and Play wagers lose. 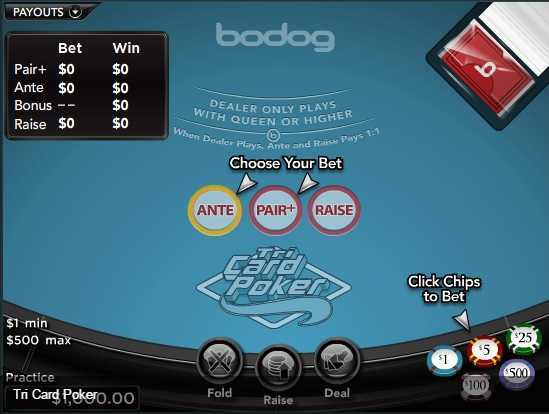 If the player hand wins both the Ante and Play wagers are paid 1 to 1. 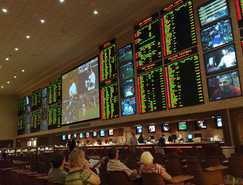 If the hands are tied then there is no action on the Ante and Play wagers.An additional feature is the Ante Bonus, which is paid to the Ante wager for a straight or better. The Ante Bonus is paid on a pay scale and is paid regardless of whether the dealer plays and regardless of whether the dealer or the player has the best hand.The Pair Plus wager loses if the player has less than a pair and wins with a pair or better. 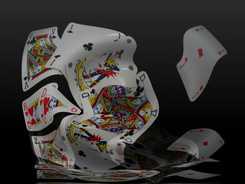 The payoff applies regardless of the dealer hand as the Pair Plus wager is not in competition against the dealer hand.